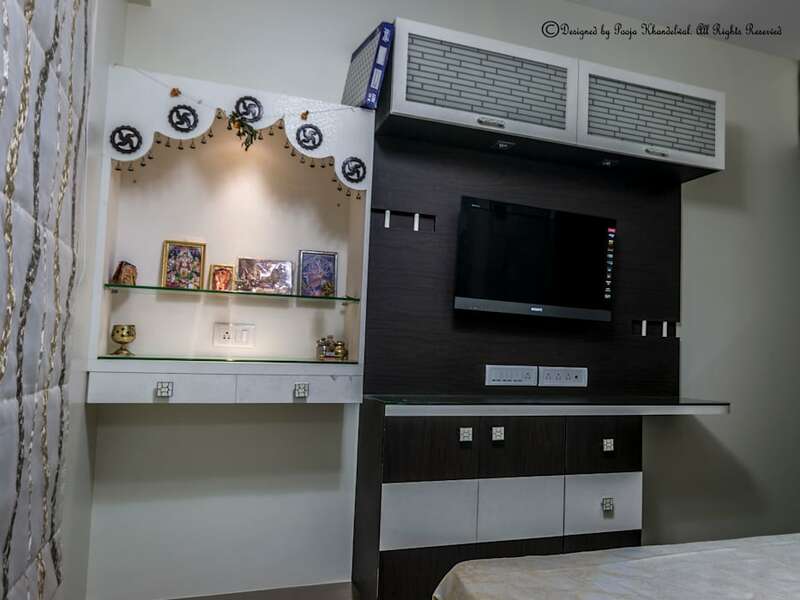 A full family like this client needed lot of storage and that's exactly what was kept in mind while planning the straight line furniture with aesthetics as well as functionality. All the rooms had different schemes but with full storage. Embroidered fabrics along with stylised lighting enhanced the look of furniture and laser cut designs were incorporated to give it modern feel. Geometrical patterns are always pleasing to eyes and concurrent circles were used to enhance the overall look of drawing room giving a feel of connectivity all through the spaces. The special feature in this whole project was the design of laminate which we customised for the child bedroom and the concept was universe. Utility, movement , comfort and adequate capacity were the key features for all the designs executed in this residential space.